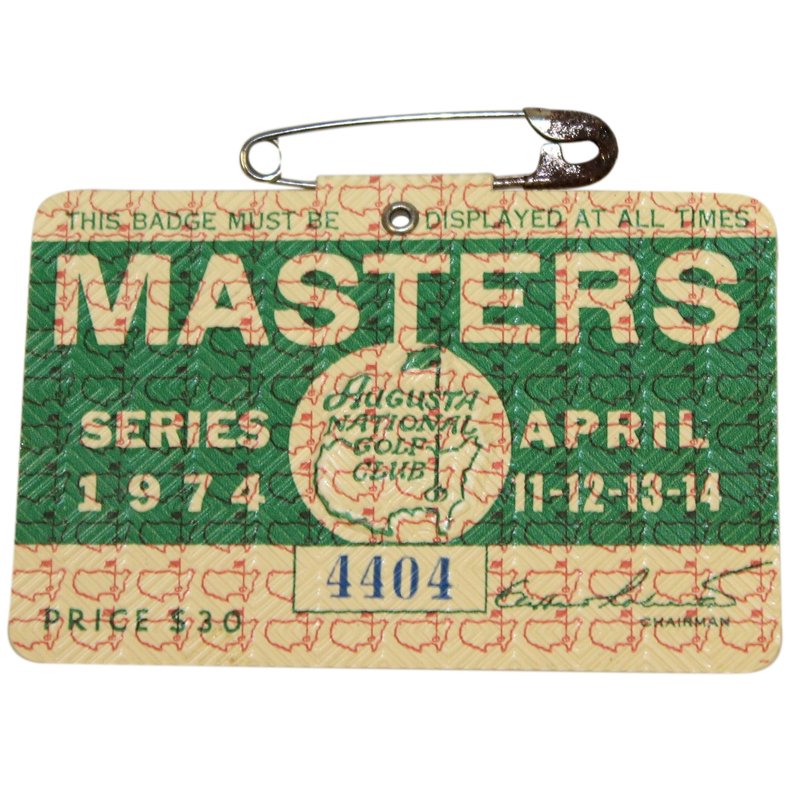 Here we have 1974 Masters Tournament series badge #4404. 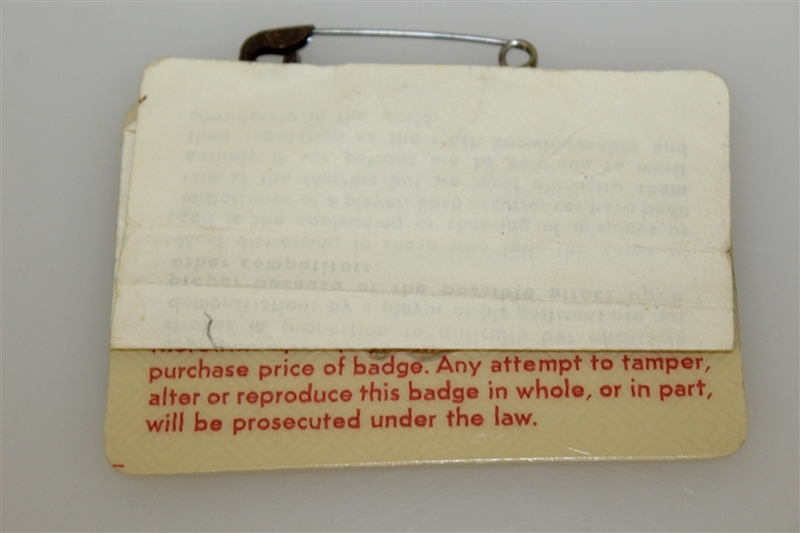 The badge itself comes in great condition, though the attached pin shows some rust. Gary Player won his first of three green jackets in 1974 by two strokes over Tom Weiskopf and Dave Stockton.